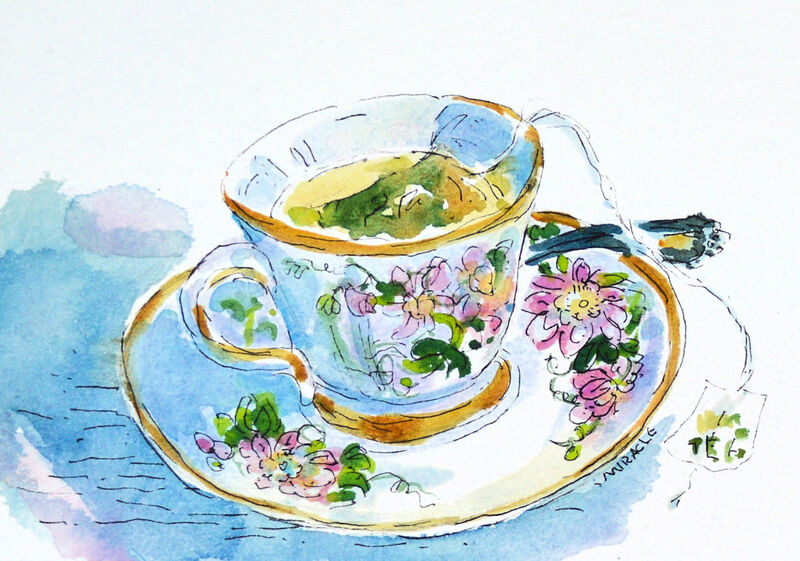 This entry was posted in pen and ink and tagged china, hot tea, kit miracle, passion flower, pen and ink, royal doulton, tea lover, teacup, watercolor. Bookmark the permalink. I knew as soon as I saw your post that this was the teacup I gave to you. Delighted to see it depicted in one of your delightful watercolors. I love it! So wonderful how you make it so lively and alert, not static or humdrum, at all.